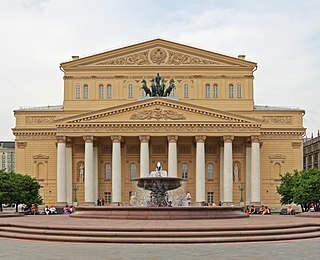 Russian opera (Russian: Ру́сская о́пера Rússkaya ópera) is the art of opera in Russia. Operas by composers of Russian origin, written or staged outside of Russia, also belong to this category, as well as the operas of foreign composers written or intended for the Russian scene. These are not only Russian-language operas. There are examples of Russian operas written in French, English, Italian, Latin, Ancient Greek, Japanese, or the multitude of languages of the nationalities that were part of the Empire and the Soviet Union. Russian opera includes the works of such composers as Glinka, Mussorgsky, Borodin, Tchaikovsky, Rimsky-Korsakov, Stravinsky, Prokofiev and Shostakovich. Searching for its typical and characteristic features, Russian opera (and Russian music as a whole), has often been under strong foreign influence. Italian, French, and German operas have served as examples, even when composers sought to introduce special, national elements into their work. This dualism, to a greater or lesser degree, has persisted throughout the whole history of Russian opera. Opera came to Russia in the 18th century. At first there were Italian language operas presented by Italian opera troupes. Later some foreign composers serving to the Russian Imperial Court began writing Russian-language operas, while some Russian composers were involved into writing of the operas in Italian and French. And only at the beginning of the 1770s were the first modest attempts of the composers of Russian origin to compose operas to the Russian librettos made. This was not a real creation of Russian national opera per se, but rather a weak imitation of Italian, French or German examples. But nevertheless, these experiments were important, and paved the way for the great achievements of 19th and 20th centuries. Originating in Italy in c1600, opera spread all over Europe and reached Russia in 1731, when the King of Poland and Elector of Saxony August II the Strong (based in Dresden) 'loaned' his Italian opera troupe to the Russian Empress Anna for the celebration of her coronation in Moscow. The first opera shown in Russia was Calandro by Giovanni Alberto Ristori (1692–1753). It was given in Moscow in 1731 under his and his father Tommaso Ristori’s direction, with 13 actors and nine singers including Ludovica Seyfried, Margherita Ermini and Rosalia Fantasia. After that Italian opera troupes were welcomed to Russia for the entertaining of the Empress and her Court.In 1735 a big Italian opera troupe led by a composer Francesco Araja was invited for the first time to work in Saint Petersburg. The first opera given by them was Araja’s La forza dell'amore e dell'odio, with a text by Francesco Prata, staged on February 8 [OS January 29], 1736 as Sila lyubvi i nenavisti (The Power of Love and Hatred). Araja’s next two productions were the operas seria Il finto Nino, overo La Semiramide riconosciuta to the text by Francesco Silvani given on February 9, 1737 [OS January 28], Saint Petersburg and Artaserse to the text by Pietro Metastasio, performed on February 9, 1738 [OS January 28] in Saint Petersburg. Araja spent around 25 year in Russia and wrote at least 14 operas for the Russian Court. In 1742, in connection witho the celebration of the coronation of Empress Elizaveta Petrovna in Moscow the opera Tito Vespasiano [La clemenza di Tito] by Johann Adolf Hasse (1699–1783) was staged. A new theatre was built especially for this event. In 1743 at "Zimnij Dvorets", the (Winter Palace) in Saint Petersburg, instead of a small hall of "Comedie et opere" was built a new Opera House (architect Bartolomeo Rastrelli) that held about a thousand persons. The next opera seria by Araja Seleuco, text by Giuseppe Bonecchi was given on May 7 [OS April 26] 1744 in Moscow as part of a double celebration of the anniversary of the coronation of Elizaveta Petrovna and conclusion of peace with Sweden. The staging of Araja’s opera seria Bellerofonte, text by Giuseppe Bonecchi (December 9, 1750 [OS November 28], Saint Petersburg) was notable for the participation of a Russian singer from “pevchie” of the Court Capella, Mark Poltoratski, who played the role of Ataman, a nobleman of Kingdom of Likia. The first opera written in Russian was Araja’s Tsefal i Prokris (Cephalus and Prokris, libretto by Alexander Sumarokov) that was staged at Saint Petersburg on March 7, [OS February 27], 1755. The second opera set to a Russian text was Alceste, 1758, libretto by Alexander Sumarokov) by German composer Hermann Raupach (1728–1778) also serving to the Russian Court. Raupach spent 18 years in Russia and died in Saint Petersburg in 1778. In 1757 a private opera enterprise directed by Giovanni Battista Locatelli (1713 – c. 1770) was invited to Saint Petersburg. They had shown an opera every week for the court, and two-three times a week they were allowed to give open public performances. The repertoire was mostly of Italian opera buffa. For the first three years the troupe had presented the seven operas by Baldassare Galuppi (1706–1785) including Il mondo della luna (The World of the Moon), Il Filosofo di campagna (The Village Philosopher), and Il mondo alla roversa, ossia Le donne che commandono (The Worlds Upside Down, or Women Command). Vincenzo Manfredini (1737–1799) spent 12 years in Russia and died in Saint Petersburg. The son and pupil of famous baroque composer Francesco Manfredini, he was a music teacher for Pavel Petrovich who later became Emperor of Russia. For the Russian Imperial Court Manfredini wrote five operas including: Semiramide (1760, Saint Petersburg), L'Olimpiade (1762 Moscow) and Carlo Magno (1763 Saint Petersburg). Tommaso Traetta (1727–1779) was a maestro di cappella at the Russian Imperial Court for eight years (1768–1775, and wrote there five operas, including: Astrea placata (1770 Saint Petersburg), Antigone (1772 Saint Petersburg), and Le quattro stagioni e i dodici mesi dell'anno (1776 St Petersburg). Giovanni Paisiello (1740–1816), a famous Neapolitan composer of more than 100 operas seria and buffa, he spent in Russia eight years (1776–1783), where he wrote 12 operas including Nitteti (1777 Saint Petersburg), Lucinda e Armidoro (1777 Saint Petersburg), Il barbiere di Siviglia, ovvero La precauzione inutile (1782 Hermitage Theatre), and Il mondo della luna (1782 Kamenny Island Theatre). Giuseppe Sarti (1729–1802), a composer of about 40 operas, he spent in Russia eighteen years (1784–1802). After being for eight years a maestro di cappella at the Imperial Court, he spent the next four years at the service of Prince Grigori Alexandrovich Potemkin at his estate in Southern Russia. Then he returned to the Court. In 1801 he solicited permission to return, because his health was broken. The emperor Alexander I dismissed him in 1802 with a liberal pension. Sarti died in Berlin. His most successful operas in Russia were Armida e Rinaldo and The Early Reign of Oleg (Nachal'noye upravleniye Olega), for the latter of which the empress herself wrote the libretto. Among the nine operas written in Russia are also: Gli amanti consolati (1784 Saint Petersburg), I finti eredi (1785 Saint Petersburg, Bolshoi Kamenny Theatre), Castore e Polluce (1786 Hermitage Theatre) and La famille indienne en Angleterre (1799 Saint Petersburg, Bolshoi Kamenny Theatre). Vicente Martín y Soler (1754–1806) a Spanish organist and composer of 21 operas and 5 ballets, he settled in Russia c1788, where he was called "Martini". He wrote there: Gore-Bogatyr Kosometovich (libretto by Catherine II of Russia, 1789 Hermitage Theatre) with overture on three Russian tunes, Pesnolyubie (1790 Hermitage Theatre), and La festa del villagio (1798 Hermitage Theatre). Two of his operas premiered in Vienna, but also staged in Russia, Una cosa rara, o sia Bellezza ed onestà (The Rare Thing) and L'arbore di Diana (Diana's Tree) were especially popular. The first of them performed in Russian translation of Ivan Dmitrievsky had some elements of the antifeudal directivity. He died in Saint Petersburg in January 1806. Ivan Kerzelli (also known as I. I. Kerzelli, or Iosif Kertsel) was a representative of a big family of foreign musicians Kerzelli (probably of Czech origin), settled in Russia in the 18th century. He is regarded as a composer of a few famous operas: Lyubovnik - koldun (The Lover-Magician 1772 Moscow), Rozana i Lyubim (Rozana und Lyubim 1778, Moscow), Derevenskiy vorozheya (The Village Wizard c. 1777 Moscow) (Overture and songs were printed in Moscow 1778; They were the first opera fragments printed in Russia) and Guljanye ili sadovnik kuskovskoy (Promenade or the Gardener from Kuskovo 1780 or 1781 Kuskovo, Private Theatre of Count Nikolai Sheremetev). Antoine Bullant (also known as Antoine or Jean Bullant, 1750–1821), another composer of Czech origin settled in Russia in 1780 wrote a large number of operas with Russian librettos, often within Russian national settings. He was especially famous for his comic opera Sbitenshchik (Сбитеньщик — Sbiten Vendor), comic opera in 3 acts, written to the libretto by Yakov Knyazhnin (remake of Molière's L'école des femmes). The opera was staged 1783 or 1784 in Saint Petersburg, at the Bolshoi Kamenny Theatre, and was played until 1853. There were also extremely popular the operas by Belgian/French André Ernest Modeste Grétry (1741–1813), like L'Amitié à l'épreuve (first staged 1779, Kuskovo theatre) or Les Mariages samnites that was performed during 12 years (since 1885, Kuskovo, Ostankino theatres) with serf-soprano Praskovya Zhemchugova at the private opera of Nikolai Sheremetev. Two talented young Russians Berezovsky and Bortniansky were sent by Catherine II to Italy to study art of music composition. Maksym Berezovsky (1745–1777) went to Italy in the spring of 1769 to train with Padre Giovanni Battista Martini at the Bologna Philharmonic Academy, where he graduated with distinction. He wrote an opera seria Demofoonte to the Italian libretto by Pietro Metastasio for the carnival at Livorno (staged February 1773). Dmytro Bortniansky (1751–1825), a pupil of Hermann Raupach and Baldassare Galuppi, went to Italy following his teacher Galuppi. In Italy, Bortniansky gained considerable success composing operas: Creonte (1776) and Alcide (1778) in Venice, and Quinto Fabio (1779) at Modena. Bortniansky returned to the court at Saint Petersburg in 1779 where composed four more operas (all in French, with libretti by Franz-Hermann Lafermière): Le Faucon (1786), Le Fete du Seigneur (1786), Don Carlos (1786), and Le Fils-Rival ou La Moderne Stratonice (1787). At the same time in Russia, a successful one-act opera Anyuta (Chinese Theatre, September 6 [OS August 26] 1772) was created to the text by Mikhail Vasilyevich Popov. Music was a selection of popular songs specified in the libretto. It is a story about a girl called Anyuta, brought up in a peasants’ household, who in fact turned out to be of noble birth, and the story of her love for a nobleman, Victor, eventually ending happily, with wedding bells ringing. The score doesn’t survived and the composer of it is unknown, however, sometimes it was attributed to Vasily Pashkevich or even to Yevstigney Fomin who that time was just 11 years old. The music of another successful Russian opera Melnik – koldun, obmanshchik i svat (The Miller who was a Wizard, a Cheat and a Match-maker, text by Alexander Ablesimov, Moscow, 1779), on a subject resembling Rousseau’s Le Devin du village, is attributed to a theatre violin player and conductor Mikhail Sokolovsky (c. 1756–?). Later the music was revised by Yevstigney Fomin. Vasily Pashkevich (1742–1797), a Russian composer was famous for his comic opera The Miser. Its roles are: Scriagin, Liubima’s guardian; Liubima, his niece; Milovid, her beloved; Marfa, the servant girl that Scriagin is in love with; Prolaz, Milovid’s manservant who is in Scriagin’s service. Accordingly the speech and the names of the characters of Molière's comedy were turned into Russian as well as the music that combines some features of European form with typically Russian melodies. Another his opera Fevey was written to the libretto by Catherine II. Other operas are: The Carriage Accident (Neschastye ot karety, 1779 Saint Petersburg, Karl Kniper Theatre, St Petersburg Bazaar (Sankt Peterburgskiy Gostinyi Dvor, 1782 Saint Petersburg), Kniper Theatre, The Burden Is Not Heavy if It Is Yours (Svoya nosha ne tyanet, 1794), The Early Reign of Oleg (Nachal'noye upravleniye Olega, libretto by Catherine II, 1790 Saint Petersburg)– together with Giuseppe Sarti and C. Cannobio), Fedul and His Children (Fedul s det'mi, libretto by Catherine II, 1791 Saint Petersburg) – together with Martin y Soler), The Pasha of Tunis (Pasha tunisskiy, 1782 libretto by Mikhail Matinsky) and You Shall Be Judged As You Lived (Kak pozhivyosh', tak i proslyvyosh 1792St. Petersburg) — rev. of St Petersburg Bazaar. Italian-trained Yevstigney Fomin (1761–1800) composed about 30 operas including the most successful opera-melodrama Orfey i Evridika to the text by Yakov Knyazhnin. Among his other operas are: The Novgorod Hero Boyeslayevich (Novgorodskiy bogatyr’ Boyeslayevich, text by Catherine II, 1786 Saint Petersburg), The Coachmen at the Relay Station (Yamshchiki na podstave 1787 Saint Petersburg), Soirées (Vecherinki, ili Gaday, gaday devitsa, 1788 Saint Petersburg), Magician, Fortune-teller and Match-maker (Koldun, vorozheya i svakha 1789 Saint Petersburg), The Miller who was a Wizard, a Cheat and a Match-maker (Melnik - koldun, obmanshchik i svat, 1779 Moscow, originally: Mikhail Sokolovsky), The Americans (Amerikantsy, comic opera, 1800 Saint Petersburg), Chloris and Milo (Klorida i Milon, 1800 Saint Petersburg), and The Golden Apple (Zolotoye yabloko, 1803 Saint Petersburg). The 19th century was the golden age of Russian opera. It began with a success of a massive and slowly developing operatic project: the opera Lesta, dneprovskaya rusalka and its three sequels (1803–1807, first in Saint Petersburg) based on the German romantic-comic piece Das Donauweibchen by Ferdinand Kauer (1751–1831) with the Russian text and additional music by Russianized Venetian immigrant Catterino Cavos (1775–1840) and Stepan Davydov (1777–1825). The next success was a patriotic opera Ivan Susanin (1815) by Cavos based on an episode from Russian history. This success was continued with the brilliant operatic career of Alexey Verstovsky (1799–1862), who composed more 30 opera-vaudevilles and 6 grand-operas including Askold's Grave (Askoldova mogila, first performed in 1835) that received about 200 performances in Saint Petersburg and 400 in Moscow only for the first 25 years. However the most important events in the history of Russian opera were two great operas by Mikhail Glinka (1804–1857) A Life for the Tsar, (Zhizn za tzarya, originally entitled Ivan Susanin 1836) and Ruslan and Lyudmila (based on the tale by Alexander Pushkin, 1842. These two works inaugurated a new era in Russian music and upraise of Russian national opera. Since these, opera became a leading genre for the most of Russian composers. Glinka was followed by Alexander Dargomyzhsky (1813–1869) with his Rusalka (1856) and revolutionary The Stone Guest (Kamenny gost, completed by Rimsky-Korsakov and premiered in 1872). Anton Arensky (1861–1906), with his 3 operas including A Dream on the Volga (1880). Russian opera reached its apogee with the works by Modest Mussorgsky and his antipode Pyotr Tchaikovsky. Not less important was Aleksandr Borodin’s (1833–1887) Prince Igor – (Knyaz Igor, completed by Rimsky-Korsakov and Alexander Glazunov, 1890). The last three of them already belong to the 20th century Russian opera. 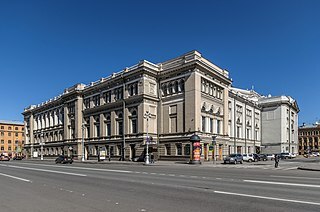 There were built a lot of new opera theatres including Bolshoi Theatre (opened since 1825 Moscow), and Mariinsky Theatre, opened since 1860 Saint Petersburg). Mamontov's Private Russian Opera established in 1885. Savva Mamontov discovered talent of Chaliapin, commissioned designs from Mikhail Vrubel, Konstantin Korovin, Natalia Goncharova and Ivan Bilibin, staged the late operas by Rimsky Korsakov. Opera spread to the provincial centres of Kiev (1867), Odessa (1887) and Kharkiv (1880). The political collisions of 20th century divided Russian opera composers into those who managed to escape to the West, successfully or not, and those who continued to live in not particular friendly atmosphere of the Soviet and Post-Soviet regimes. And nevertheless, the process of producing of new operas was not diminished, but just opposite, it was immensely grown. Zimin Opera established in 1904, Sergei Diaghilev's Saisons Russes began in Paris in 1913. Vladimir Rebikov (1866–1920) composer of more than 10 operas is best of all known for his opera The Christmas Tree (Yolka, 1894–1902) in which he presented his ideas of “melo-mimics” and “rhythm-declamation” (see melodeclamation). Francesca da Rimini (Op. 25, 1904, staged 1906). All three operas were staged at the Bolshoi Theatre. He began but did not finish the fourth Monna Vanna (1907, 1st act in a vocal score) after Maurice Maeterlinck who refused to give permission to the composer for using of his text. These operas, written on the border between two centuries, rather belong to the world of the romantic opera of the past. Escaping Russia in 1917 Rachmaninoff never returned to operatic projects again. Dmitri Shostakovich (1906–1975) was another great opera composer struggling all his life in the clutch of the communist ideology. His satirical opera The Nose, after the completely absurd story by Gogol was criticized in 1929 by RAPM as "formalist". His second opera Lady Macbeth of the Mtsensk District performed in 1934 with an enormous success was condemned by the authorities even more harshly. This forced him to recompose it much later, in 1962, as Katerina Izmailova in a style more simplified and conventional to meet the requirements of the new rulers of the regime. Shostakovich was involved in many more operatic projects. There were a lot more of the composers about the same generation, who had managed to create hundreds of operas. Some of them shared the same problems with Shostakovich and Prokofiev who returned to live to the Soviet Russia, and was deadly embraced by its suffocative regime. Others were at the opposite side, serving the suffocating roles. A serious condemnation and persecution of the Soviet Union's foremost composers, such as Prokofiev, Shostakovich and many others, had emerged in 1948 in connection to the opera by Vano Muradeli (1908–1970), Velikaya druzhba (The Great Friendship); see Zhdanov Doctrine. Also: Vladimir Shcherbachev, Sergei Vasilenko, Vladimir Fere, Vladimir Vlasov, Kirill Molchanov, Alexander Kholminov, etc. (see: Russian opera articles#20th century). The next generations who found themselves already in the Post-Stalin epoch had own specific problems. The ideological and stylistic control and limitation of creative freedom by the authorities and older colleagues-composers in the hierarchical structures of the Union of Composers made almost impossible the innovation and experiment in any field of musical art. It was a feeling that old bad times returned again, when in 1979 at the Sixth Congress of the Composers' Union, its leader Tikhon Khrennikov denounced seven composers (thereafter known as the "Khrennikov Seven"), who for some reason or other had been played in the West – there were at least four opera composers among them. As a result even quite new phenomena appeared: a "samizdat (underground) opera" (see Nikolai Karetnikov). Some of these operas still never been performed, others luckily received their premieres in the West, and only a few found their place at the operatic stages of the homeland. The collapse of the Soviet Union did not improve this hopeless situation much. Also: Nikolai Sidelnikov, Andrei Petrov, Sandor Kallosh, Leonid Hrabovsky, Alexander Vustin, Gleb Sedelnikov, Merab Gagnidze, Alexander Tchaikovsky, Vasily Lobanov, Dmitri N. Smirnov, Leonid Bobylev, Vladimir Tarnopolsky, and so on (see: Russian opera articles#20th century). The first was Tsar Demyan – a frightful opera performance (a collective project of the five participants: composers Leonid Desyatnikov and Vyacheslav Gaivoronsky from Saint Petersburg, Iraida Yusupova and Vladimir Nikolayev from Moscow, and the creative collective "Kompozitor," (a pseudonym for the well-known music critic Pyotr Pospelov) to the libretto by Elena Polenova after a folk-drama Tsar Maksimilyan, premiere June 20, 2001 Mariinski Theatre, Saint Petersburg. Prize "Gold Mask, 2002" and "Gold Soffit, 2002". Another opera The Children of Rosenthal by Leonid Desyatnikov to the libretto by Vladimir Sorokin, was commissioned by the Bolshoi Theatre and premiered on March 23, 2005. [Gozenpud A. A.] Гозенпуд А. А., Музыкальный театр в России Л., 1959 г. The Snow Maiden is an opera in four acts with a prologue by Nikolai Rimsky-Korsakov, composed during 1880–1881. The Russian libretto, by the composer, is based on the like-named play by Alexander Ostrovsky. Mlada is an opera-ballet in four acts, composed between 1889 and 1890 by Nikolai Rimsky-Korsakov, to a libretto by Viktor Krylov that was originally employed for an aborted project of the same name from 1872. The Saint Petersburg Imperial Bolshoi Kamenny Theatre was a theatre in Saint Petersburg. Aleksander Onisimovich Ablesimov was a Russian opera librettist, poet, dramatist, satirist and journalist. Catterino Albertovich Cavos, born Catarino Camillo Cavos, was an Italian composer, organist and conductor settled in Russia. He played an important role in the history of Russian opera and was the father of Alberto Cavos. Bogomir Bogomirovich Korsov, was a Russian baritone opera singer. Kashchey the Deathless, a.k.a. Kashchey the Immortal, is a one-act opera in three scenes by Nikolai Rimsky-Korsakov. The libretto was written by the composer, and is based on a Russian fairy tale about Koschei the Deathless, an evil, ugly old wizard, who menaced principally young women. A similar fairy tale was also used by Igor Stravinsky and Michel Fokine to create their iconic ballet, The Firebird. This a list of opera singers from Russian Federation, Soviet Union and Russian Empire including both ethnic Russians and people of other ethnicities. This list includes those, who were born in the Russian Federation/Soviet Union/Russian Empire but later emigrated, and those, who were born elsewhere but immigrated to the country and performed there for a long time. Stepan Alexandrovich Gedeonov was a Russian art scholar, playwright, critic and historian, the director of the Hermitage Museum and Russian Imperial Theatres, in 1867—1875.